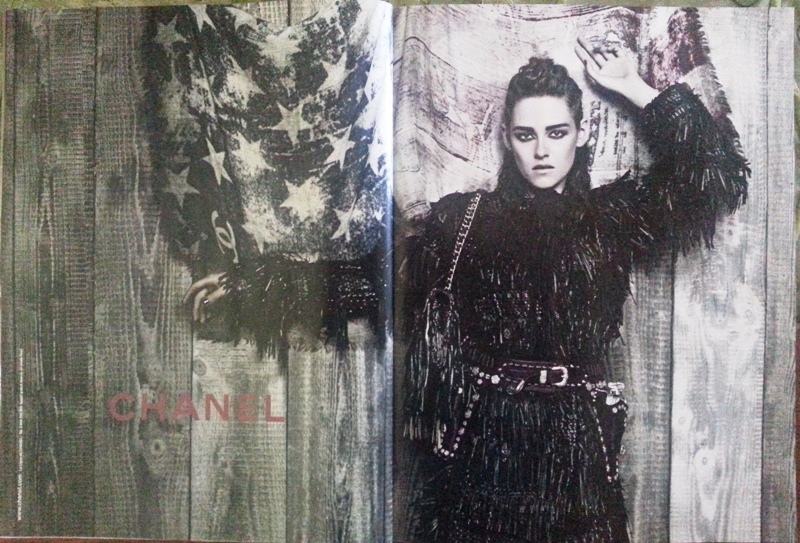 I knew that it had to be soon that CHANEL would be advertising with Kristen so I have been on the look out. Karl Lagerfeld announced in May that Kristen Stewart would be the face of Chanel’s Paris-Dallas collection. 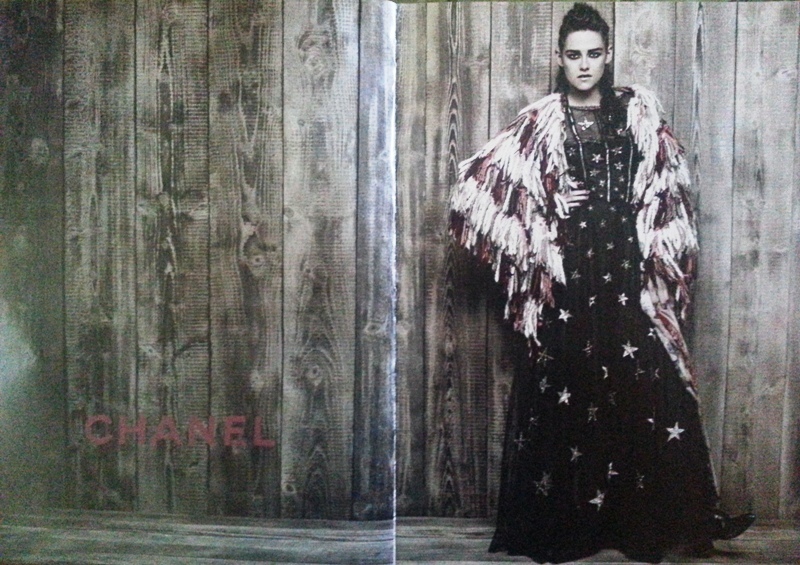 A lot of the collection features cowboy boots, fringed leather and printed tees. Sounds perfect for Kristen and she really pulls it off. I Just picked up several US and International Magazines that are featuring Kristen for CHANEL and the photos are stunning. A few similar to the big displays I saw on Rodeo Drive at the CHANEL Boutique. We have a local shop in Portland, Rich’s Cigars, that carries all the international magazines and they had several with CHANEL ads. She has two ads in Vogue Paris. They are each two full pages. There are also two ads in W Magazine. Each a full two pages.